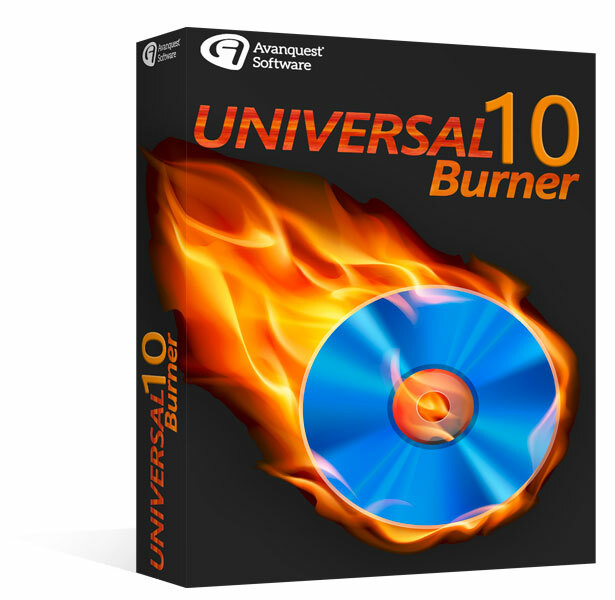 Universal Burning 10 is concentrated and proven burning power for your CD-, DVD- and / or Blu-ray-writer with a new and modern interface, which offers the most important functions quickly and clearly arranged. Equipped with a state-of-the-art technology, Universal Burning 10 is providing those qualities, which already made the predecessors very successful: reliability, velocity, comprehensive functionality and a straightforwardness that directly leads to success. Rip Audio CD: Rips music CDs . 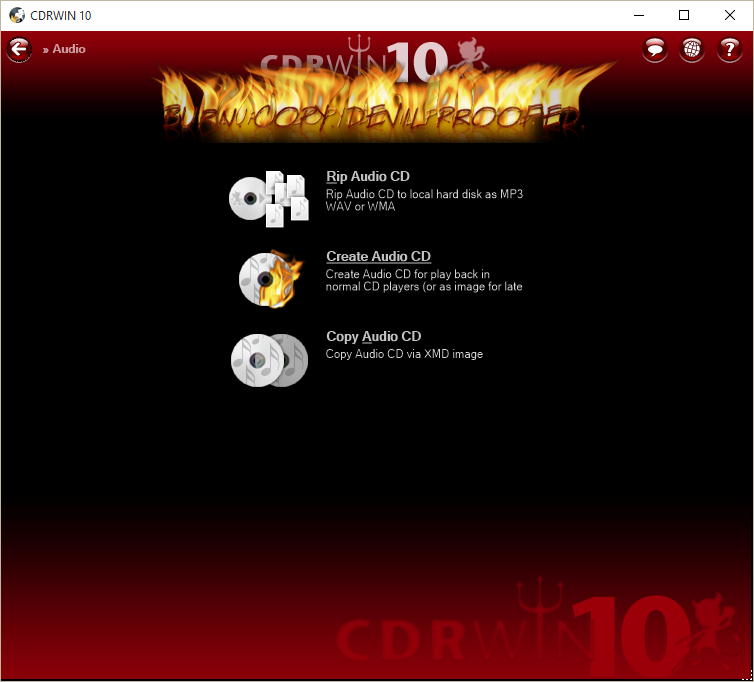 Create Audio CD: Creates Red Book-compatible audio CDs . 5. Video : Burns a ,Video_TS'-folder as a Video-DVD, i.e. a complete folder structure of a DVD-Movie. 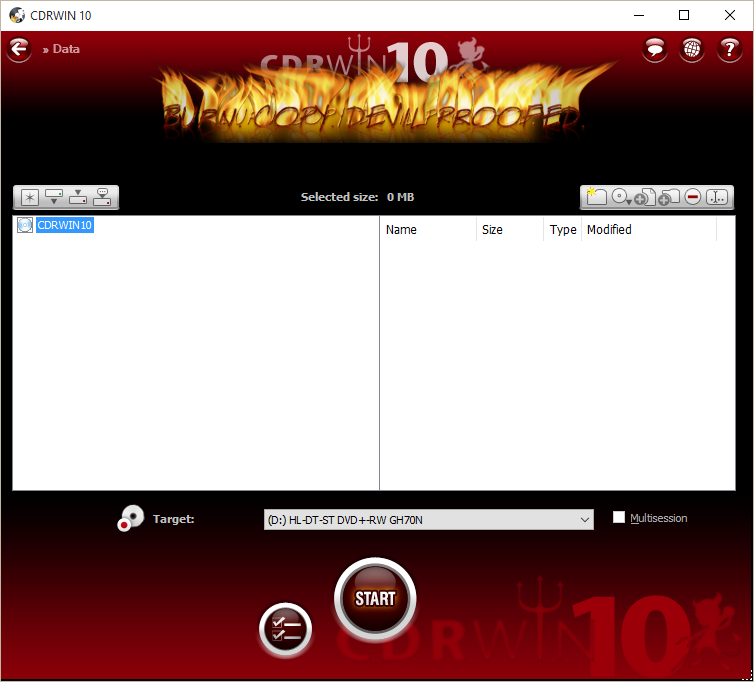 The Settings define various initial parameters for Universal Burning to save you time needlessly inputting data. To make it easier to understand, the dialog box has been split into four sections: Common (e.g. default options), Devices (e.g. 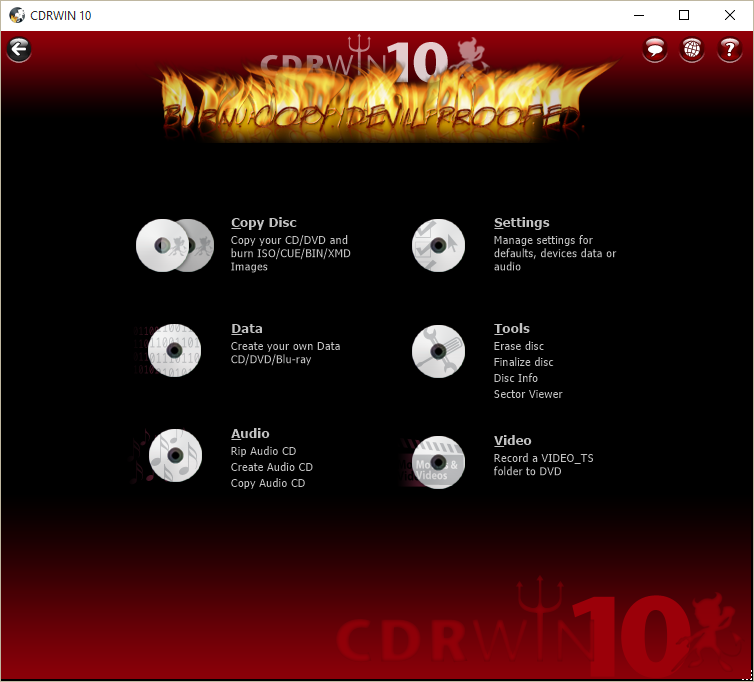 for the burn process), Data (important, particularly when creating CD/ DVD-ROMs) and Audio (default settings, e.g. file-naming conventions for the rip module). Support for all known blank disc sizes from 21 to 99-minute playing time, DVD+R, DVD-R, DVD+RW, DVD-RW, DVD DL, DVD- RAM, BD-R. 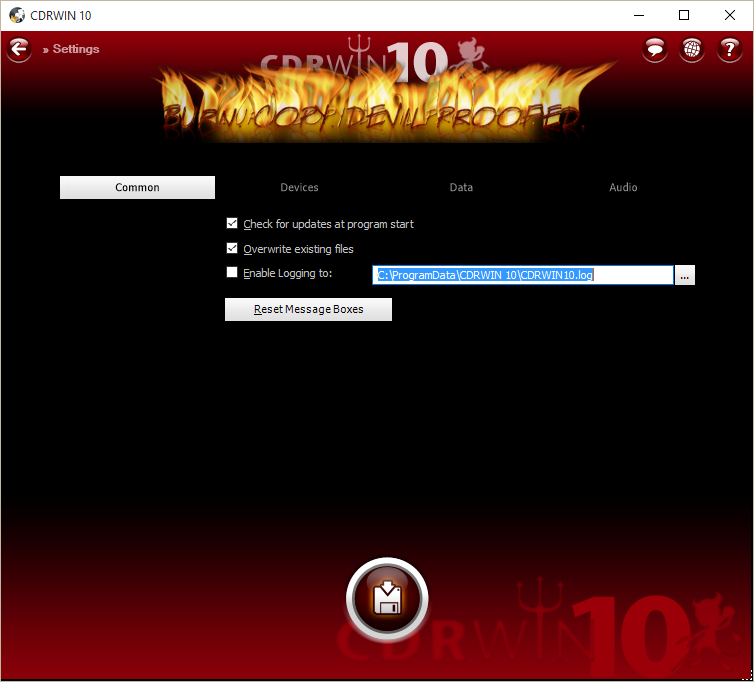 It is also possible to overburn CD-Rs Support for different technologies for preventing write failures, e.g. BurnProof .